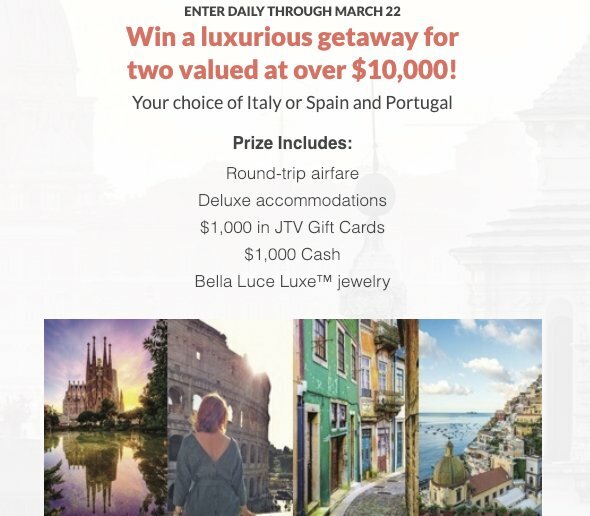 Score a trip for two to your choice of Italy or Spain, worth $10,540.00. Includes airfare, a nine day tour with accommodations, JTV gift cards, cash and Bella Luce Luxe jewelry. Trip for two to your choice of Italy or Spain.